Teachers must become registered to teach Jazzaddict Australasia syllabus work. All work and music is copyright to Jazzaddict Australasia. Jazzaddict Australasia is a registered trademark. If your application is accepted you will be required to pay the annual registration fee. 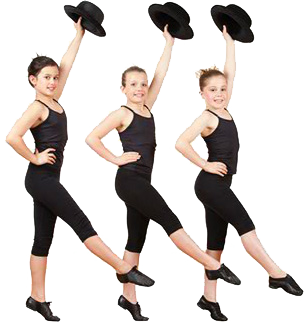 The registration fee licenses the dance studio or individual freelance teacher for one year. New teachers/studios are accepted on a two year trial. During that time they must enter candidates for examinations annually and attend the Teacher Workshops (bi-annually - every two years). Examination results and teacher/studio report sheets will be monitored during that period. If the work of a teacher is considered substandard then the Asia Pacific Dance Association reserves the right to decline registration on the subsequent year. Teacher refresher courses are held in January every two years (bi-annually). These are compulsory, at least one representative from the studio is expected to attend each workshop. This is a valuable investment in the studio and business and is an important requirement to keep abreast of changes and professional development. The workshop location is always in a major city in Australia or New Zealand. Workshops for Asia are held in Hong Kong. Syllabus work, technical work and music are covered. Examiners and guest tutors conduct classes and seminars. Open forums are scheduled to share ideas, suggestions and opinions. Networking is encouraged. Jazzaddict provides a comprehensive teacher training curriculum which covers all aspects of teaching, health, safety and communication. Qualification to teach Primary, Junior and Elementary grades. The examination includes an oral interview and a practical assessment of teaching. Prerequisites include a First Aid certificate and a minimum of 20 hours assistant teaching. The second half of the examination is a practical assessment which involves teaching students and demonstrating choreography. A thorough report is provided with a pass or fail grade given. Candidates must achieve 75% or higher in both the oral and practical assessments to pass the Teacher examination. This is to ensure we maintain the highest standards of teaching within our dance studios. Qualification to teach Intermediate and Advanced grades. This examination is a practical assessment of teaching (no oral component required). The cost of the examination for the Teacher Certificate is NZ/AUD$185. The Advanced Teacher Certificate is NZ$165. Both examinations are HK$1230 in Hong Kong/ China.